The food here is delicious and the atmosphere super relaxed. 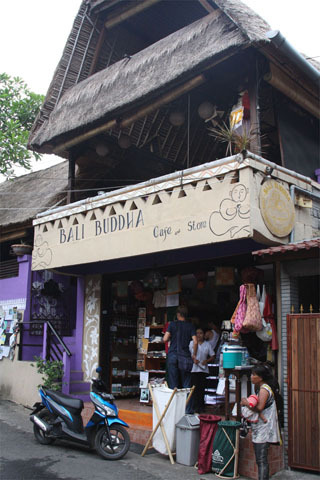 It's a great place for a healthy meal and competes with Kafe further to the south for the mantle of top health food cafe in Ubud. They try hard to make sure all produce is organic and chemical-free, and their food is made fresh daily. This means that you'll sometimes find items not available on the menu due to the produce not being available. WiFi is not available, but delivery is offered.